As a local student said to me whilst I was there, Frankfurt isn’t a place people visit unless they have a specific reason to. And that’s true. 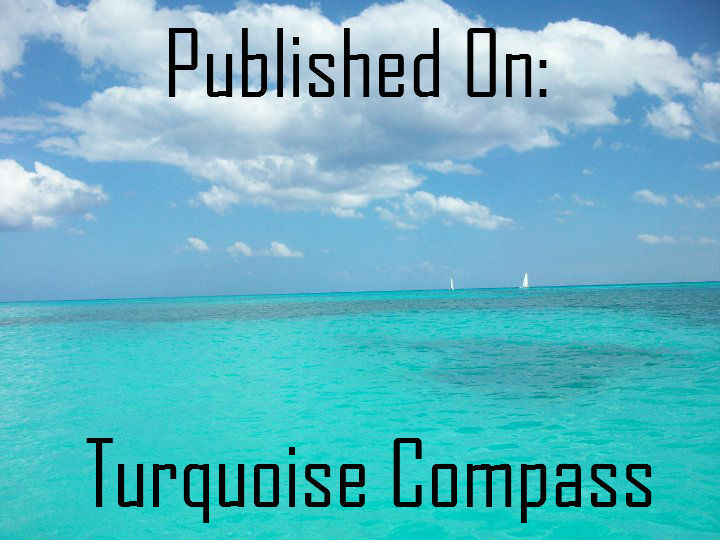 It’s not a big tourist destination, and there are no attractions that are targeted with luring the visitors in. 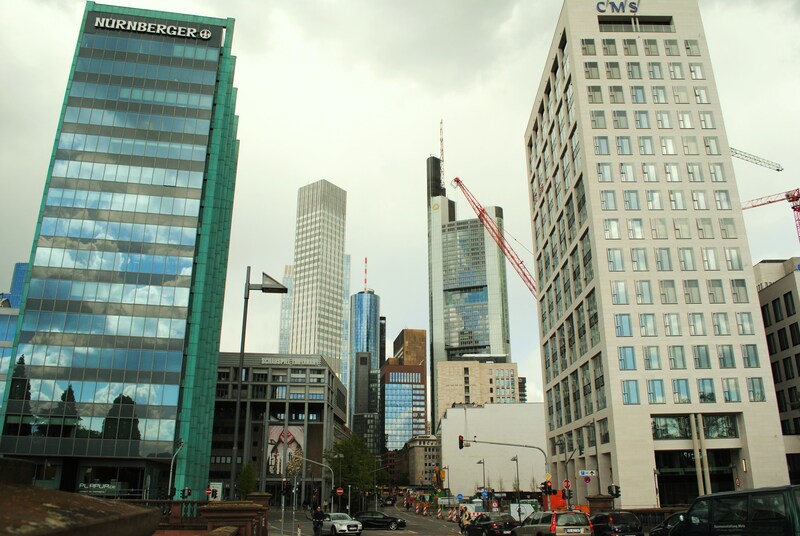 What Frankfurt is is a busy, business-orientated, working city. If you want to know what it’s really like to live in a European city in the modern world, this is the place to come. I’ll be talking more about the different sides to Frankfurt in a later post, but for now I wanted to concentrate on the highlights of Frankfurt that should be on everyone’s bucket list when planning a trip there. The fifth biggest city in Germany, Frankfurt is a capital of finance and business. 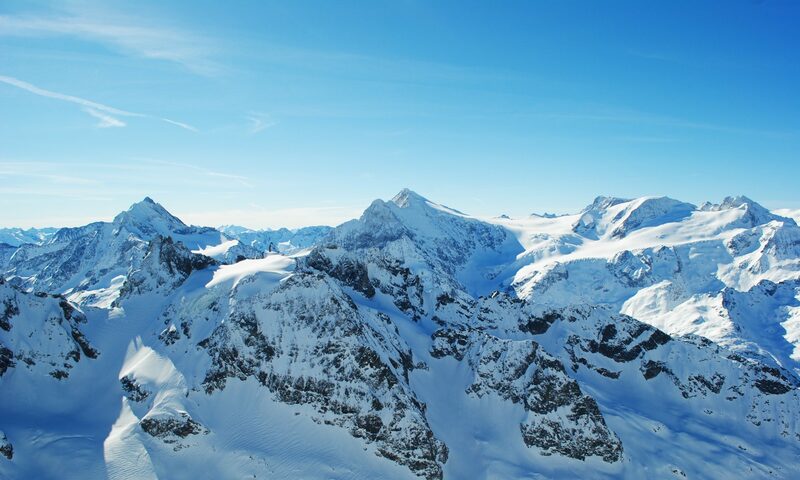 It is home to one of the world’s largest stock exchanges as well as the European Central Bank. Of the 5 million inhabitants, over half are immigrants. Once a Roman garrison town, about 80% of the medieval city centre was destroyed and 1000 people were killed by Allied bombs in 1944. It’s really easy to get around Frankfurt. I walked to most places, but the S bahn and U bahn are both fairly easy to navigate. Or you can hire a bike. There are bike lanes all over the city, which actually join up to each other (believe me, anyone else who lives in Cardiff will understand my amazement at this). 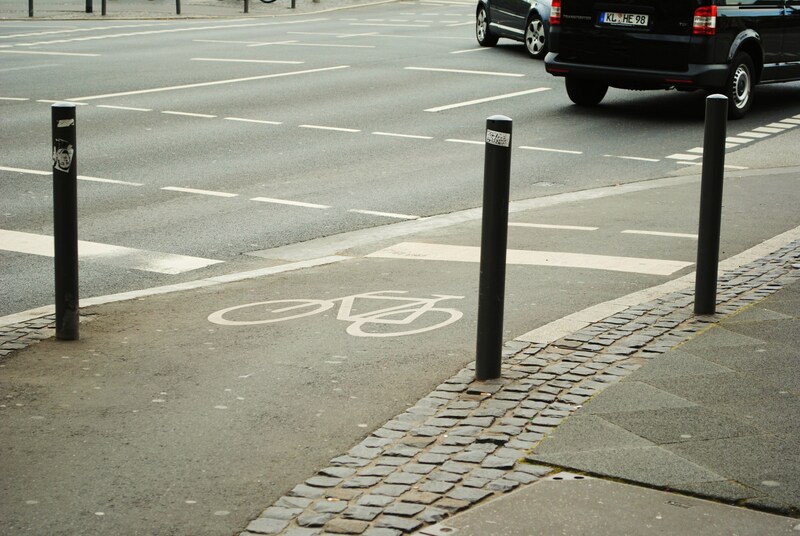 Be careful if you are on foot, though, as the bike lanes often look like part of the pavement. 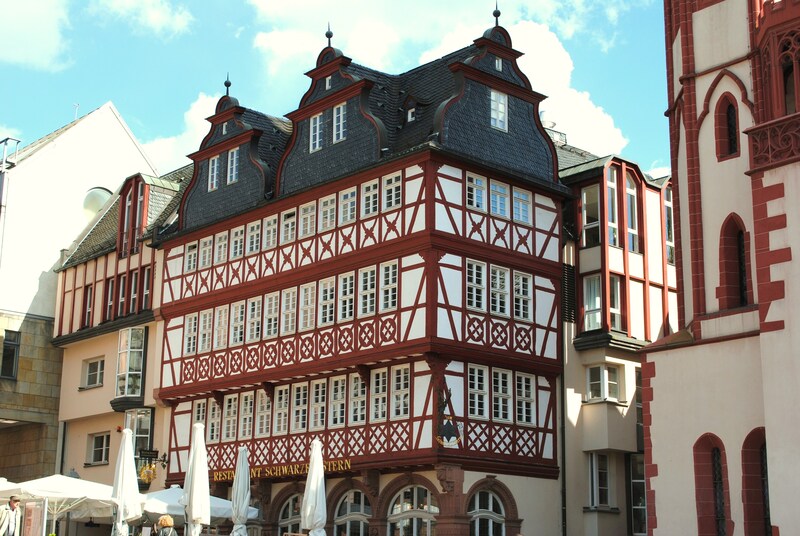 Although the city walls are long gone, Frankfurt does still have an old town. Where the walls once stood is now a strip of parkland, which adds a nice touch of green to the city. Although the old town looks authentically quaint and historical, most of it was rebuilt after Frankfurt was bombed during the war. The one mainly original building is the Alte Nikolaikirche. You’d like to think that the bombers left the church alone as a sign of respect, but alas the truth is that they simply used the church spire as a navigation point and destroying it would have caused them an inconvenience. 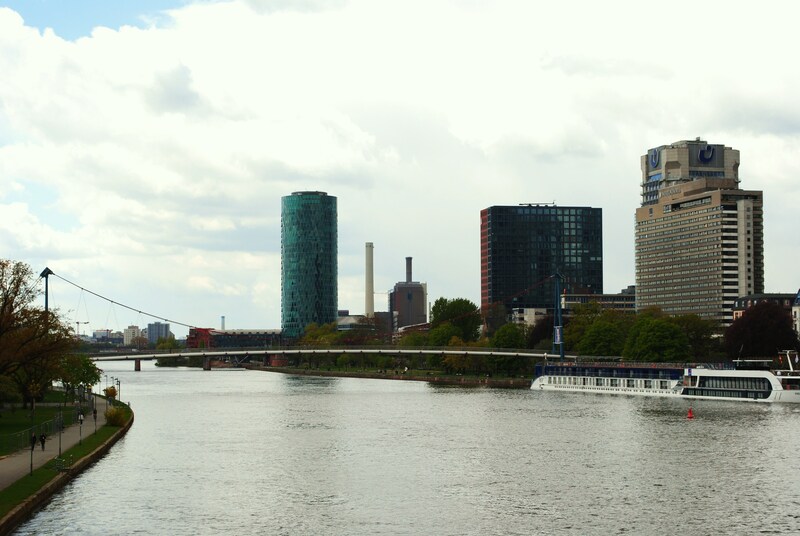 Aside from the old town, in my opinion the other scenic area of Frankfurt is the River Main. Tree-lined park areas line the river on both sides, and are set below street level so you really feel like you’re getting away from the hustle and bustle of the city. There are a few points at which you can cross the river, but by far the most interesting is the Iron Bridge. 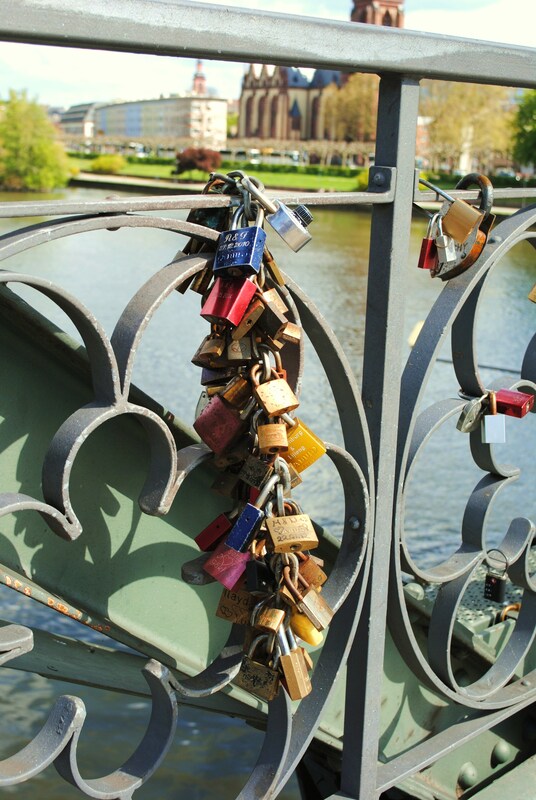 Following a trend that seems popular in a lot of European cities, couples engrave their names onto padlocks then lock them onto the bridge. They throw the key into the river, supposedly sealing their love for eternity. As has happened in other cities, the custom has become so popular that the number of padlocks poses a risk to the structure of the bridge. 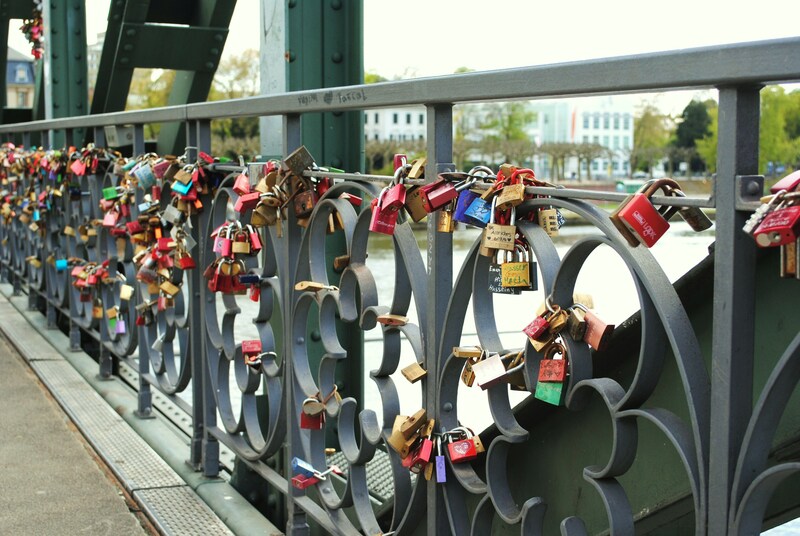 Since an incident in Paris where part of a bridge fell into the water under the weight of all the relationships, Frankfurt council have taken the decision to remove old locks after a period of time. I don’t know what this means for the future of those couples whose locks have been sawn off, but I did spot a few padlocks that had combinations instead of keys so I’m not sure all the couples had so much faith in their relationship in the first place! Running along both sides of the river is the museum embankment, where most of Frankfurt’s museums have been handily condensed into one easy-to-navigate strip. There are lots of museums here, covering history, modern art, Jewish life, film and architecture. Unfortunately, some of the museums were closed when I was there and I didn’t have as much time as I’d have liked to explore the ones that were open. I did manage to get to the German Film Museum, which houses an impressive permanent collection telling the story of every aspect and department that must come together to make a movie. 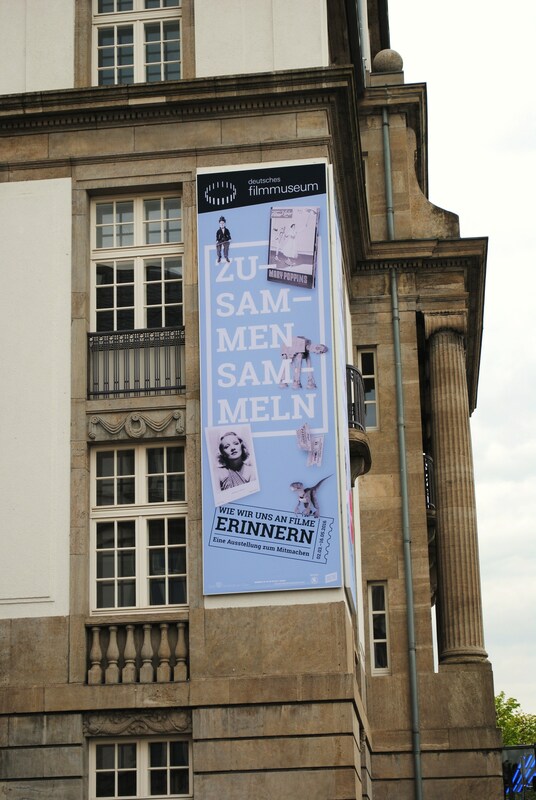 The also had a temporary collection, ‘Zusammen sammeln’, which gave a fascinating insight into our personal relationships with film. The museum asked film fans to lend them their souvenirs of movies, and the range and number of responses they got is incredible. From scrap books filled with ticket stubs to a replica Darth Vader mask used in rehearsals on the Star Wars set, anyone who has ever seen a film will find something in the exhibition that will bring back nostalgia and emotion. 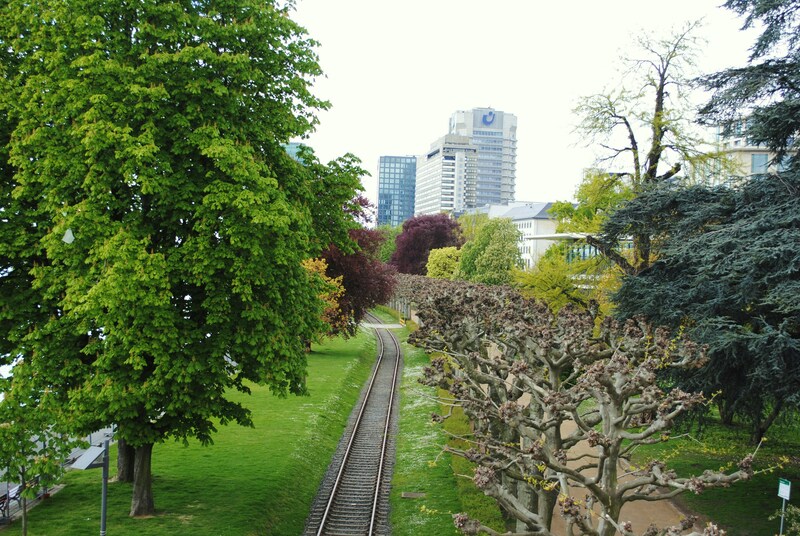 For a city that’s ‘not really for tourists’, there sure is a lot to see and do in Frankfurt. I could have happily spent another couple of days exploring the city and visiting museums.